Manukau Harbour entrance from Whatipu Beach. Paratutae Island centre top. 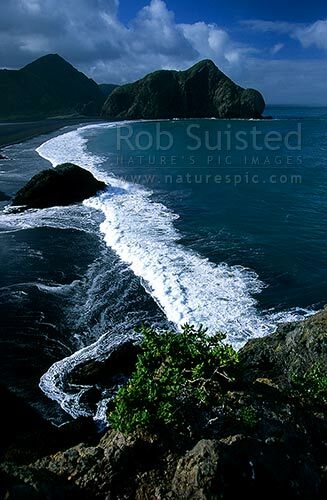 Black iron sands, Auckland, Waitakere City District, Auckland Region, New Zealand (NZ), stock photo.